Make working out a little more fun by using modern technology to help you out. The following is a list of 8 gadgets that can help you to lose weight. The miCoach is like having your own personal trainer with you on every run: it creates personalized training plans, keeps tabs on your stats, and coaches you along the way. The system consists of a phone, a heart rate monitor, a stride sensor and a special type of shoe. This sidebar gadget for Windows Vista shows food nutrition facts right on your desktop. Their database consists of more then 7000 products, and has custom filter and search options. Can be used offline, too. The Forerunner 305 is a sport watch with a high sensitivity GPS receiver, running courses and a wireless heart rate monitor. Forerunner 305's courses feature lets you compete against previous workouts: you can compare your pace and heart rate to your past performance over the same run. 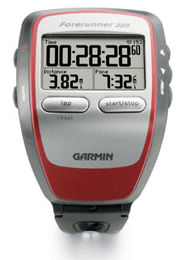 You can also plan, analyze and store data from your workouts using Garmin's free software. 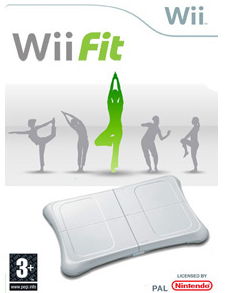 Wii Fit is a video game developed by Nintendo for the Wii console. It is an exercise game consisting of activities utilizing the Wii Balance Board peripheral. The balance board measures a user's weight and center of gravity. The software can then calculate the user's body mass index when told of his or her height. The game has roughly 40 different activities, including yoga poses, push ups, and other exercises.